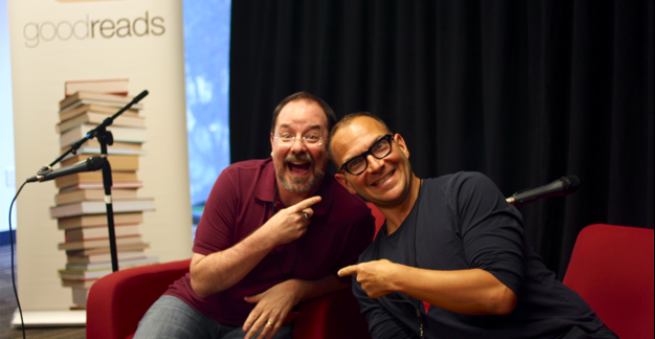 Ahead of our panel at the LA Times Festival of Books on Sunday, John Scalzi interviewed me about my new book Radicalized for his column in the Times. Q. You write fiction and you’re also a public advocate for tech, privacy and current cultural issues, and you’ve been adept your entire career in using the former to advance the latter. What is it about fiction that makes it an effective vessel for talking about the issues that drive you? How do you find the balance for entertainment and argument? A. I think that fiction is a superb way to put flesh on the dry, abstract bones of technical and policy debate — a fly-through of an architect's rendering of the emotional lived-experience of the consequences of our policy choices. Technological problems are pernicious — in a manner similar to climate change, the consequences of bad technological choices often manifest a long time after the choices themselves, and it's hard to get people to act on these issues with the right degree of urgency given the long fuse that's burning on them. Fiction can make the detonation more visceral and immediate, and possibly spur us to action when the problems are still manageable rather than when they're so pernicious that they can't be denied, but also might be too far along to do anything about. Earlier this week, Kentucky Republican Congressman Andy Barr withdrew his invitation for Democratic Congresswoman Alexandria Ocasio-Cortez to visit a coalmine in his district (made after AOC defended the Green New Deal as being better for working people, including coal miners, than GOP denial inaction on climate change).